(CNSNews.com) - Americans paid a record $540,701,000,000 in property taxes to state and local governments in fiscal 2016, according to the U.S. Census Bureau. That was up $16,748,620,000—or about 3.2 percent--from $523,952,380,000 in property taxes (in constant 2016 dollars) that state and local governments collected in fiscal 2015. 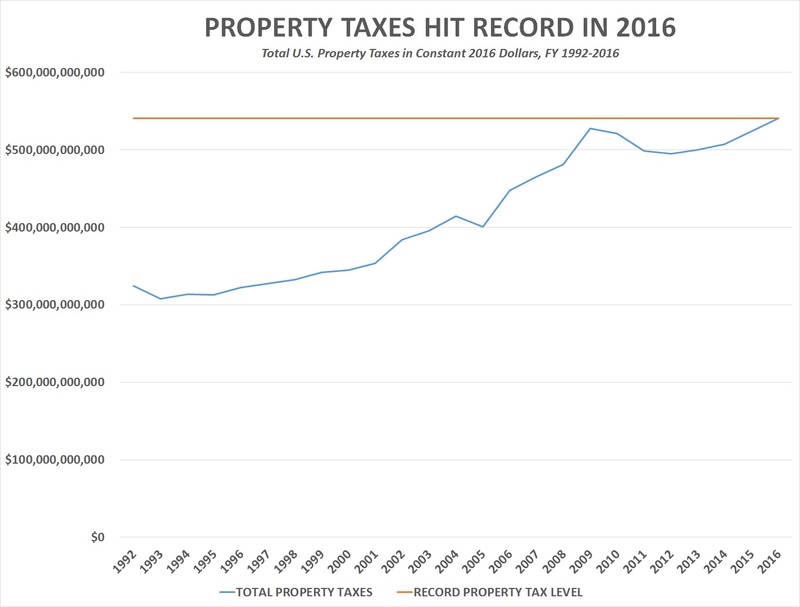 The prior national record for property taxes was set in fiscal 2009, when they hit $527,850,500,000 in constant 2016 dollars. Fiscal 2016's record total of $540,701,000,000 was up $12,850,000,000—or about 2.4 percent—from that previous record. The fiscal year 2016 that the Census Bureau references in this data is the year that runs from July 1, 2015 to June 30, 2016. That is because most states end their fiscal years on June 30. 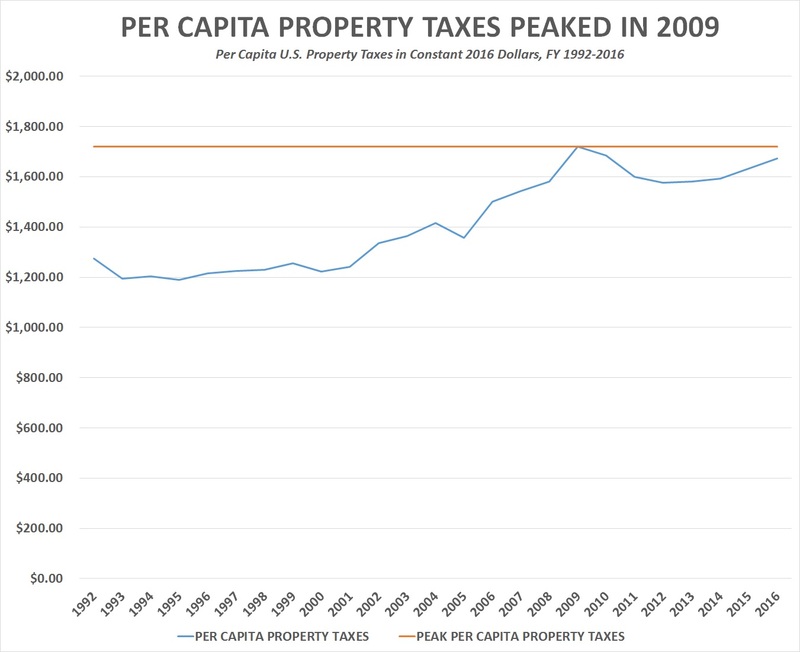 Although total inflation-adjusted state-and-local property taxes hit a record in fiscal 2016, inflation-adjusted property taxes hit their per capita peak in fiscal 2009. In fiscal 2016, the $540,701,000,000 in property taxes that state and local government collected equaled about $1,673 for every one of the 323,127,513 men, women and children the Census Bureau estimated were residing in the United States as of July 1, 2016. In fiscal 2009, the $527,850,500,000 in property taxes (in constant 2016 dollars) that state and local government collected equaled about $1,721 for every one of the 306,771,529 men, women and children the Census Bureau estimated were residing in the United States as of July 1, 2009. Most of the property taxes were collected by local governments. Of the $540,701,000,000 in total property taxes collected nationwide in fiscal 2016, according to the Census estimate, $16,040,000,000—or about 3 percent—was collected by state governments.